Hello! 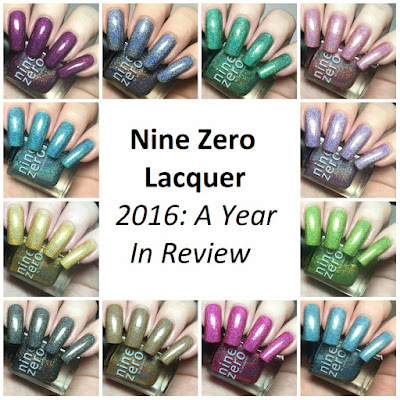 Today I have swatches of both Nine Zero Lacquer 'November 2016' & 'December 2016' to share with you (if you missed 'October 2016', you can find my swatch here). Unfortunately I completely forgot to swatch November last month - I got so close to finishing my aim of swatching the whole collection in their respective months! 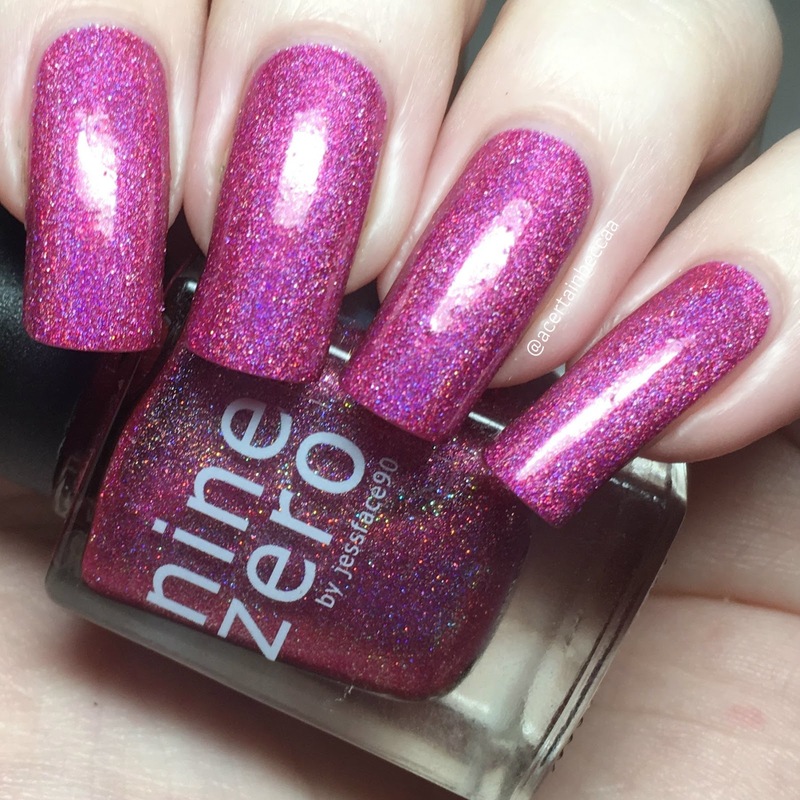 'November 2016' is a bright saturated pink holographic with added holographic microglitter. The formula is super smooth and easy to apply. It is very slightly sheer on the second coat, but covers completely with a second. Below is two coats with topcoat. 'December 2016' is a baby blue holographic with added holographic microglitter. Again, the formula is very smooth and easy to apply. Being such a light colour, I could just about see my nail line in certain lights with two coats, so added a quick third just to make sure. Below is three coats with topcoat. So there we have it! 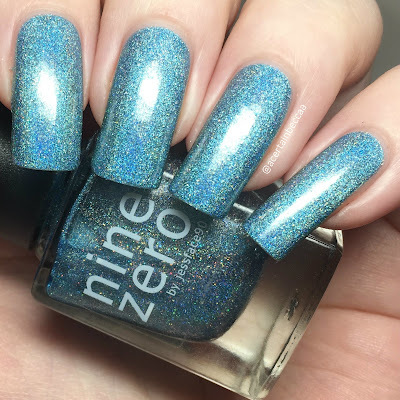 Over the course of the year, I have successfully swatched the entire Year in Review collection, almost all of them in the matching months. 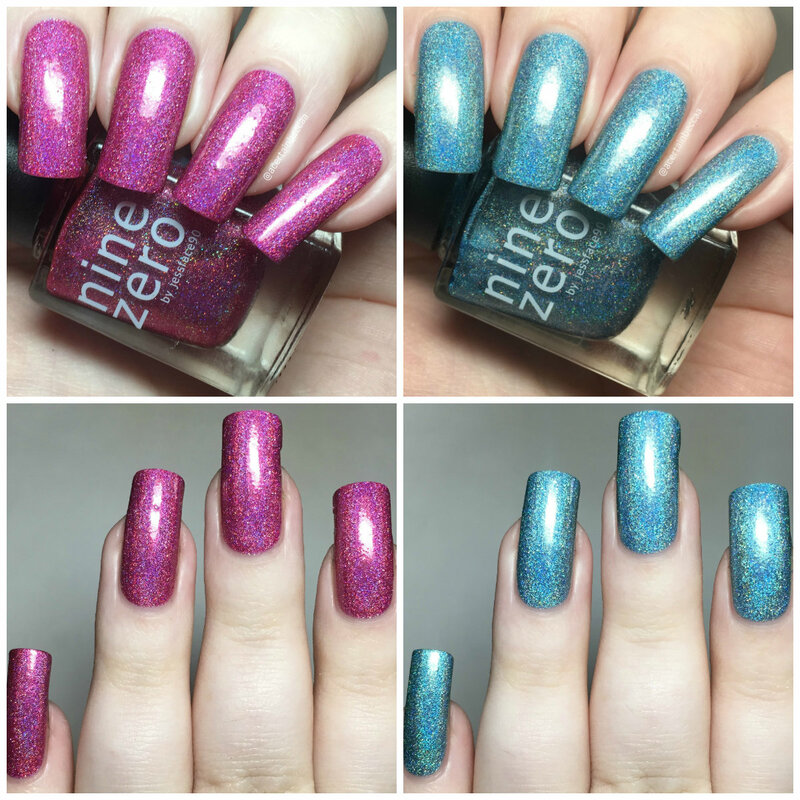 It's been really interesting to see how my swatches have improved from month to month. Here's a quick look at them all together so you can see my progress! What do you think? Which ones are your favourites? I have a soft spot for January as it is my birthday month and a gorgeous purple, but I don't think I could pick a firm favourite! They are all amazing and all have fabulous formulas. 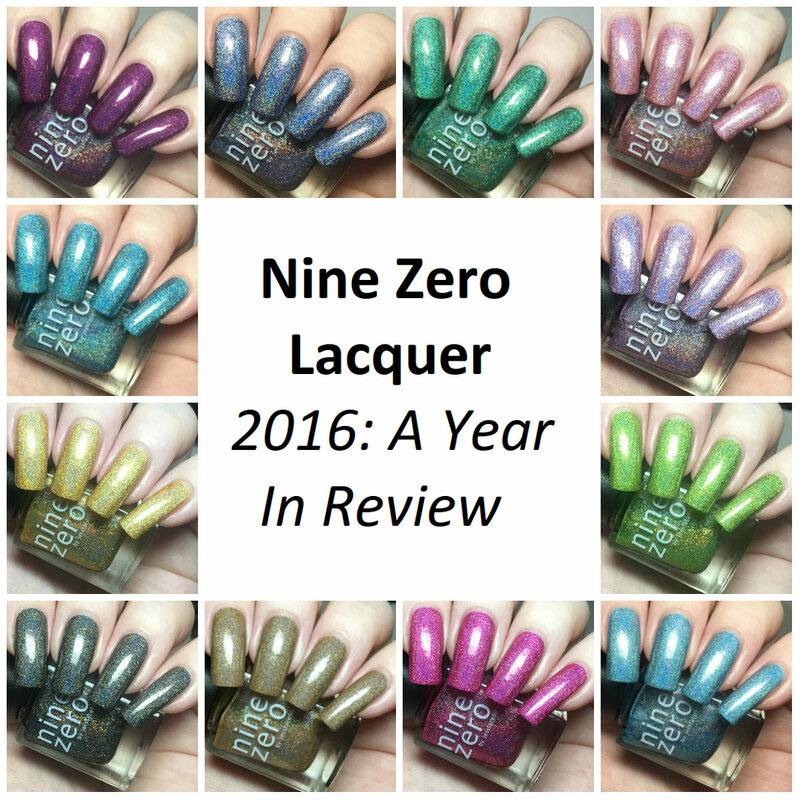 You can find the 2016: A Year in Review Collection on the Nine Zero Lacquer website here.